Hello Folks! 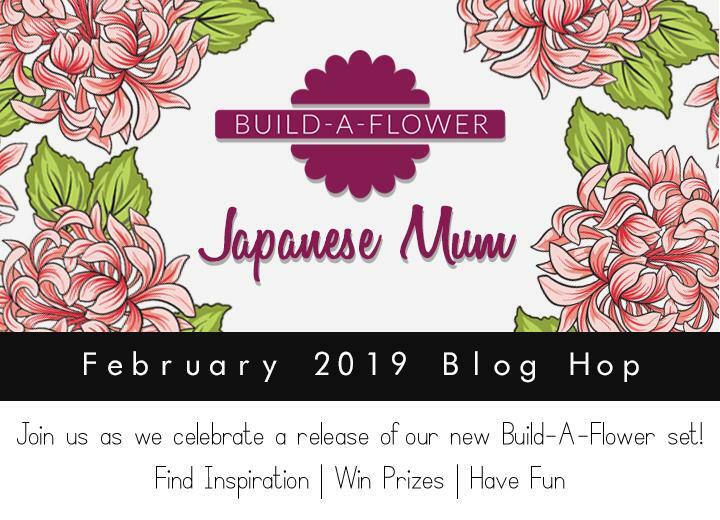 I'm SUPER excited to participate in this blog hop for the newest Bulid-a-Flower release from Altenew, the Japanese Mum! You may have come from the blog of the lovely Reiko Tsuchida, but if not feel free to start at the beginning on the Altenew Card Blog. I cannot even describe how much I LOVE the whole Build-a-Flower concept! I know coloring in all forms (pencils, markers, watercolor, etc.) is super popular now, but sometimes you're looking for a fool-proof way to have a colored flower without having to think about what to shade, where to shade, how to shade, how many different colors to use, etc. 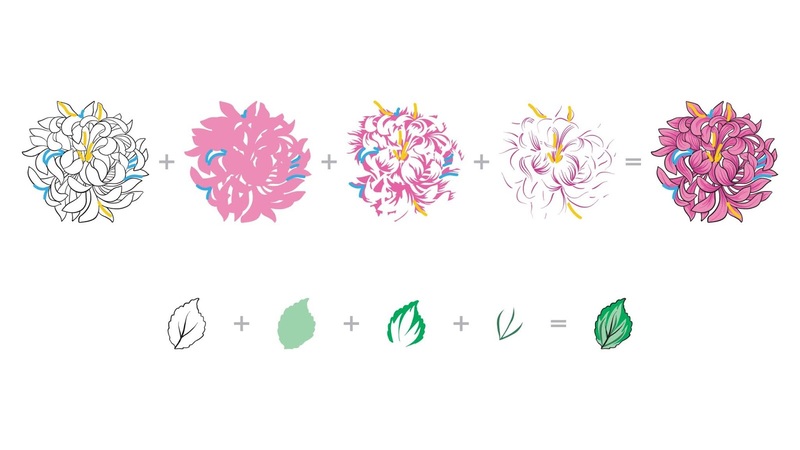 Not only do these Build-a-Flowers take all the guesswork out of coloring your flower, but once you have it all set up you can easily stamp many of these in a row, allowing you to show off nice, full bouquets of multiple flowers on your card. I start by penciling two perpendicular lines on a sheet of copy paper. Then I place the first layering stamp in the middle. I use a straight edge and an ultra fine tip permanent marker to make the same perpendicular lines on the back of the stamp, adding an arrow at the top so I know which direction to line the stamp up. Then I ink it up and stamp this first layer, taking care to make sure both lines match up. I repeat the same process with the remaining layers. For each new layer I carefully line it up on the stamped image, using this layering guide (also on the back of the package) as a reference. Once I'm happy that it's in the correct place, I make two perpendicular lines on the back of the stamp (with the arrow pointing to the top) and stamp. 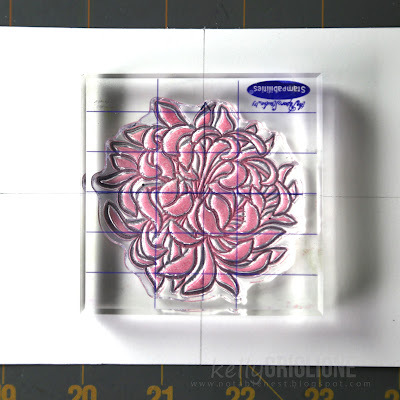 Now I'm ready to stamp multiple flowers! All I need to do is draw the two perpendicular lines on my cardstock and then line each stamp up. I made a set of cards with three flowers, one of which I mounted on foam tape for some dimension. The leaves are not as involved, so I didn't bother making guidelines on those stamps. I just eyeballed the layers. The background panel was made with one of my top two most-used stencils: Feeling Dotty. I sprayed some Antique Gold Metallic Ink Spray (which is on sale now!) through the stencil which was loosely laid over the paper. This allowed some of the bigger drops to puddle through, giving it it a less precise look. Having the gold metallic throughout the card really gives it a nice sparkle. 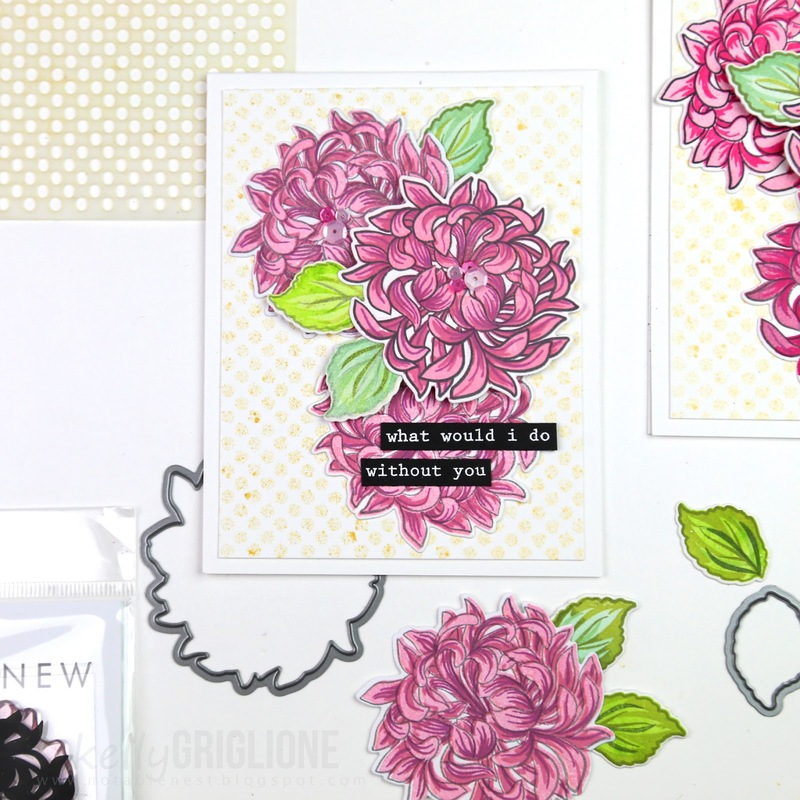 The sentiments that I embossed in white on the black cardstock are from the Scribbled Flowers stamp set. Looking at all the mums in this photo reminds me how much I love the ease of getting perfectly lined up layers once I add my guidelines to the stamps. One more card, this one started with my perpendicular lines right in the middle of the card base. Once I built up the layers in the center floral I got out my other most-used stencil: Elegant Swirls. With a circle placed over the Mum, I blended ink through the stencil, and then directly onto the card. This left a nice white circle, or "O" around the Mum. I thought this would be the perfect Mother's Day card if I made the MUM into a "MOM" : ) Having large letters like the Classic Alphabet Dies would be ideal, but if you don't have those then just try the letters yourself with a marker! Finished off with a sentiment from Scribbled Flowers across the design. All this fun and I only used a few shades of pink for the mums. Can't wait to try out some different color combinations! There is now a monthly subscription plan for the Build-A-Flower sets! 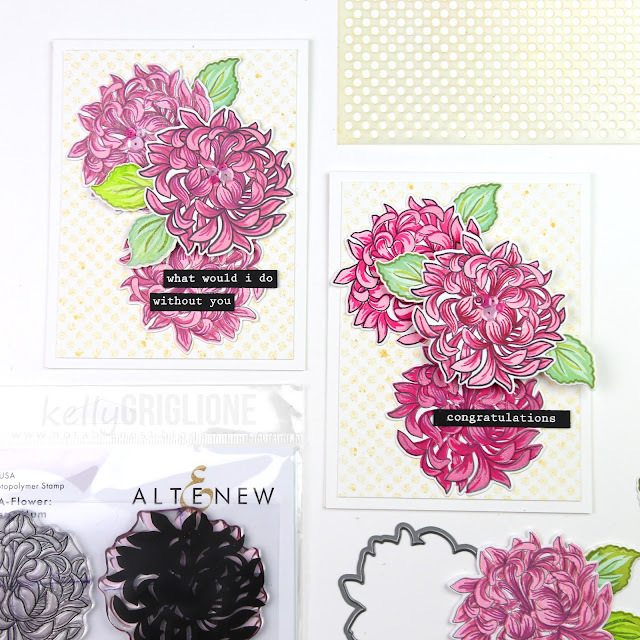 When signed up, you are guaranteed a spot in the monthly Build-A-Flower releases (which often sell out) and will receive the stamp and coordinating die set at a specially discounted price ($35.00 →$29.99). See the Altenew site for further details. 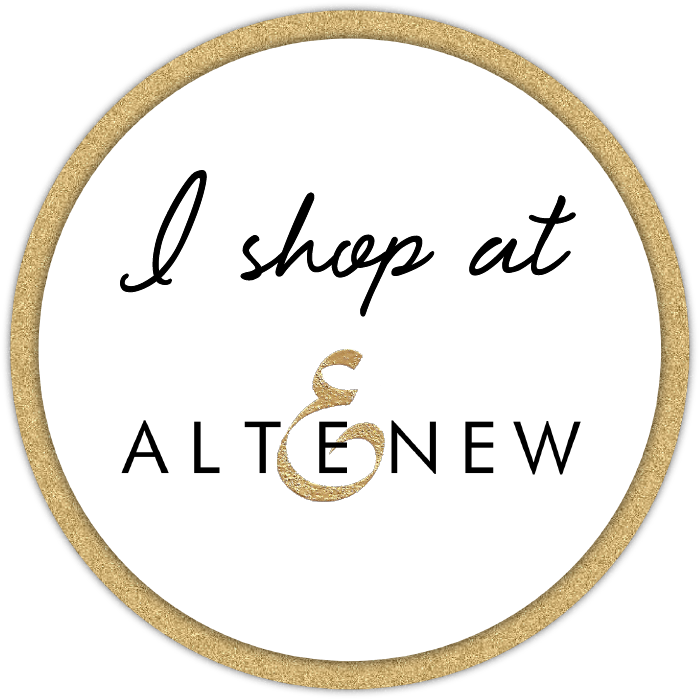 The folks at Altenew have also generously provided a $20 gift certificate for one lucky follower/commenter on my blog! 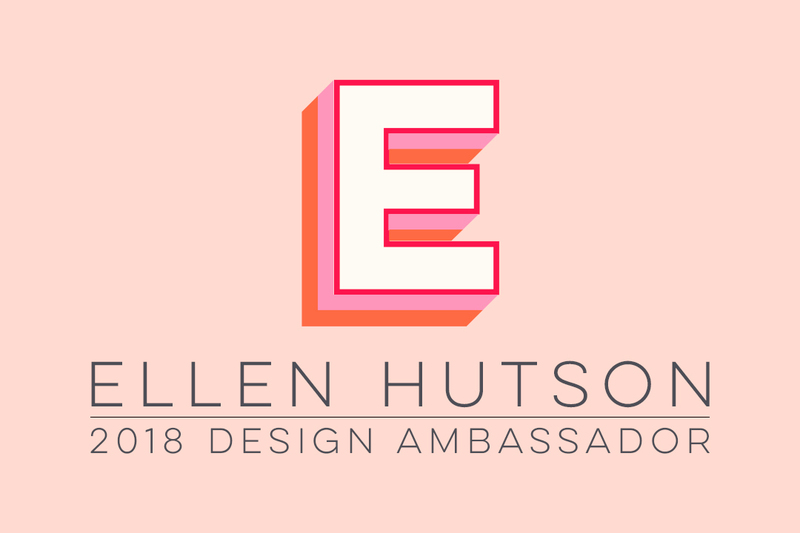 To be eligible, please 1) follow my blog and 2) leave a comment on this post before February 6th, 2019. I will announce the lucky winner on my blog on the 6th. Thanks so much for stopping by! Enjoy all the wonderful inspiration from these amazing crafters! At no cost to you, affiliate links may be used. Kelly Griglione <---you are here! Beautiful layout! Thank you for showing us your technique in lining up multiple layer stamps. I love your stuff! And I love blog hops, too! Thanks for the chance to win!! Beautiful cards !! I lived your trick to get perfect allignment of layering stamps.Thanks for sharing. Beautiful cards! 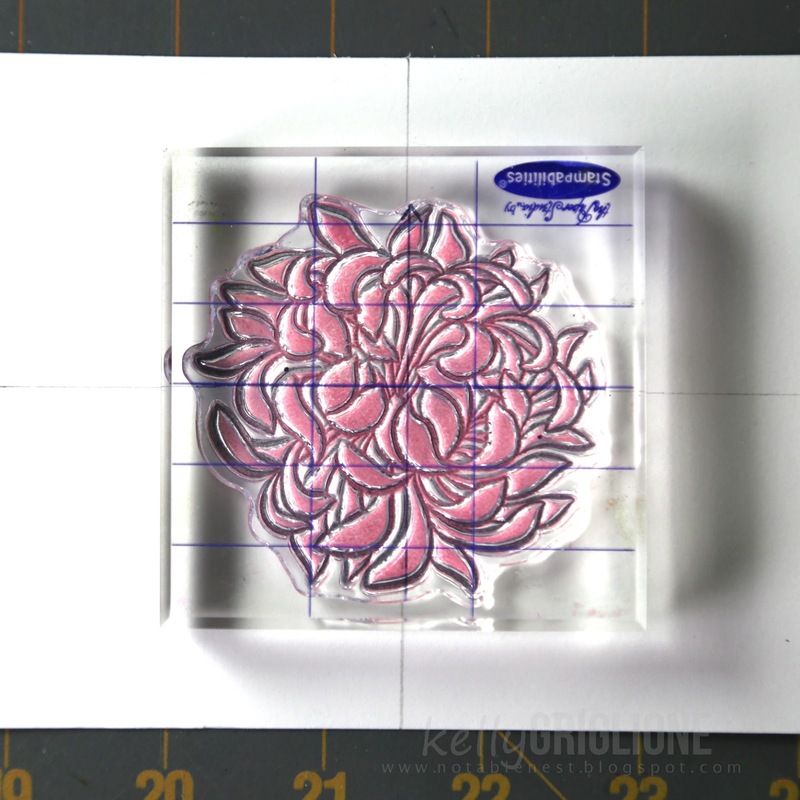 Love your technique for lining up the multi layer stamps! Thanks for sharing! Gorgeous layers of beauty! Thanks for the tutorial and loved your 2 cards! Especially the "Mom"one! Absolutely love the colors you've used. Thank you for sharing the alignment trick for the layers. 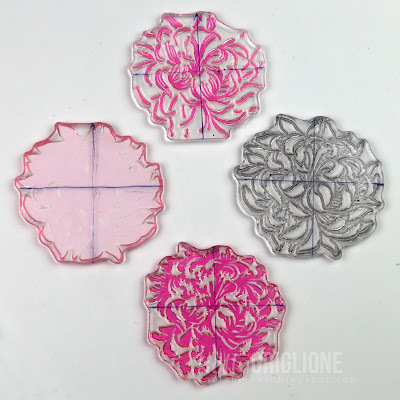 This can be used with any layering stamps. I really appreciate life changing/stamping tips!! They way you line up your layers is pure genius!!! And you card is beautiful!! Thanks for the great layering tip!! I love your card and how the flowers coordinate with each other. These are beautiful cards. Thanks for the tips on alignment! Beautiful cards - I especially love your Mom card - lovely way to frame the bloom. GORGEOUS!! 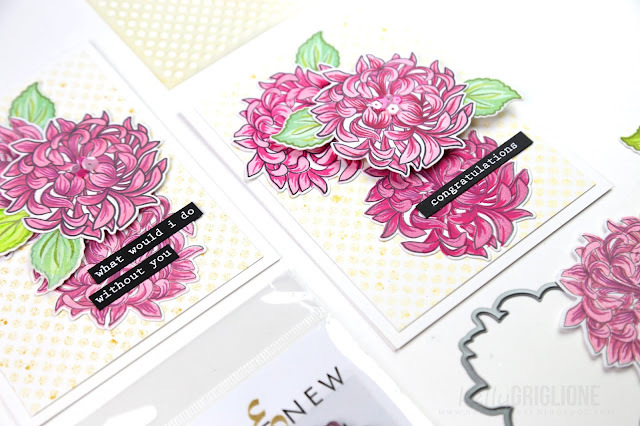 Love your tips for lining up your layering stamp! Genius!! Your cards turned out so beautiful...great stamp set...so pretty...thank you so much for sharing today. Wonderful tips on lining up the Altenew layered stamp sets! Beautiful and I love how you used the new set - great inspiration! Beautiful card - thanks for the tip on how to line up the layers easier. Great tip. Lovely cards!! Great tip on lining up the layers. Great mom card. Thank you for showing how to line up the stamps by drawing a permanent line. I sometimes tire of trying to figure out where to place the next stamps and this will save me a lot of frustration. Lovely Mother's Card. Thank you for the idea!! Your Mother's Day card is truly beautiful, any Mother would be proud to get a card a beautiful as this one. The pink mums are awesome! Thanks for the great tip of layering up the stamp without a stamp platform. Beautiful card, well done. Yes, great tip for marking the different stamps so they line up. I'm sure it will take away the frustration of messing up the last layer! Wow, Kelly! I love your creativity! Fantastic cards and what a super idea for lining up your stamps perfectly! It’d be nice if Altenew would print those lines & arrows for us! Great job, love you tip on layering up. Thanks for sharing. Wow! Beautiful! I'm inspired to give this one a shot! Your system is great, Kelly--except you have to get the layers lined up right one time before you draw on the stamp & therein lies my problem--haha! As you've seen, I did finally stop being so critical & used a layering stamp for cards I'm actually mailing, so that's progress! Love the pink shades for these gorgeous blooms & the gold metallic background--a stunningly beautiful card! This new J-mum stamp set is already beautiful to begin with, but you made it much more by using only few colors. Thanks for the tips for lining things up. What amazing blooms they’ve designed and you showed them off well. Awww!!! All your cards are so lovely! Such beautiful cards! I love the way you made the MOM, too! This newest flower is awesome, and you have shown it off so well! What a great to line up the stamp layers, Kelly! I do have trouble getting them in the correct position sometimes so I will try your way next time. Love your cards; they are so beautiful. Beautiful cards with this lovely new BAF set! Lovely cards Kelly! Love this gorgeous BAF set! Thanks for the inspiration and the tips! Very pretty cards Kelly. I loved the Mom card using the Japanese Mum as the "O" in Mom. Very clever! Thanks for the inspiration. Aww..how fantastic! 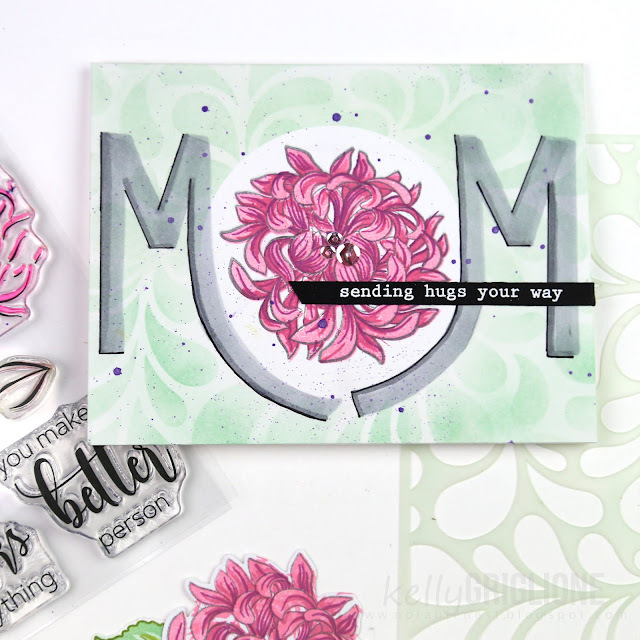 Love your tip on perfect lining up of layering stamps and love how you made MOM!A great show off!! Gorgeous cards Kelly! A great hint for perfect alignment of layered stamps! I'll certainly give it a go (especially with some of the more difficult sets!) Thanks so much for sharing as well as the great inspiration! You created some stunning cards--love them! Both cards are STUNNING! But the Mother's Day card is so perfect! I love how the letters form around the Mum, such a creative idea. And I love your tip for drawing the lines on the back of the stamps. You can bet I will be doing that with all of my BAF sets. Thanks for the great idea. I love the MOM card that you made. I would be proud to be the recipient of it. 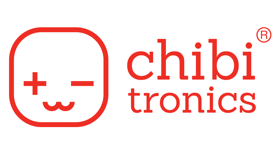 Thank you for your techniques with us! Your technique turned out some beautiful flowers. Love the colors. pretty bouquet! and thanks for the tip! 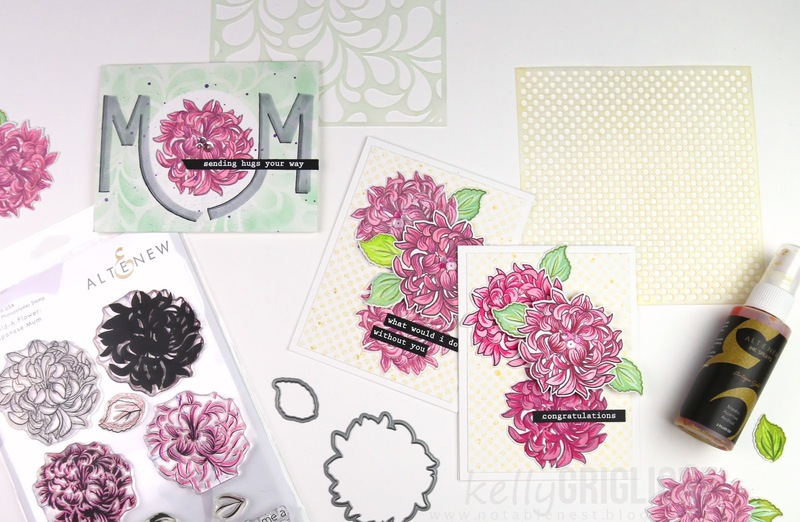 lovely cards, Kelly - and turning the mum into a mother's day card was so clever! Love the backgrounds on your cards. Lovely cards. Thanks for sharing! Marking your stamps is brilliant! I have a hydrangea layering stamp that I don't use because I can't get it to line up. Now I can mark it and away we go..... thanks. Wow, beautiful Japanese mum cards (love the mum for mom! ), and thanks for the tips on layering, so helpful to mark the backside of the stamps, brilliant! Your cards are so nice. I like the way you used the same colors for each flower but in different ways to make them look slightly different. WOW! Your cards are gorgeous! I love the colors you used for the mums, it's really yummy! (And I could tell you picked all the flowers from the same bush!) What fantastic tips for lining up your stamps - genious! Thank you so much for all the great inspiration! Pretty flowers. I appreciate the tips for lining up the stamps. I can see this would be a challenging one. Such gorgeous cards! Great colors. 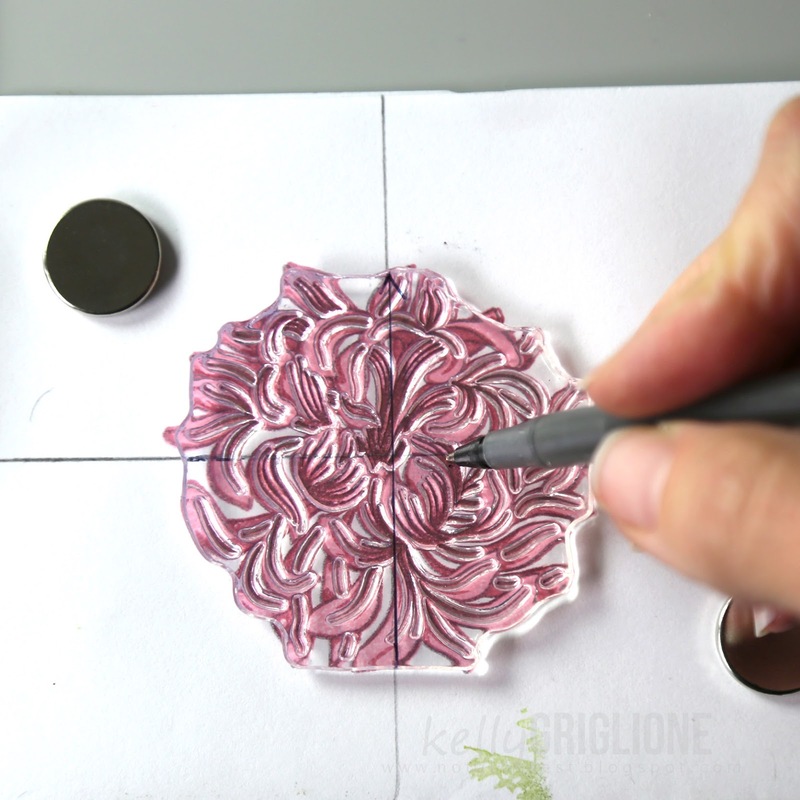 Thanks for sharing your tips for lining up the flower layers. Beautiful cards. Love the layered flowers. What beautiful colors you used on your blossoms!! 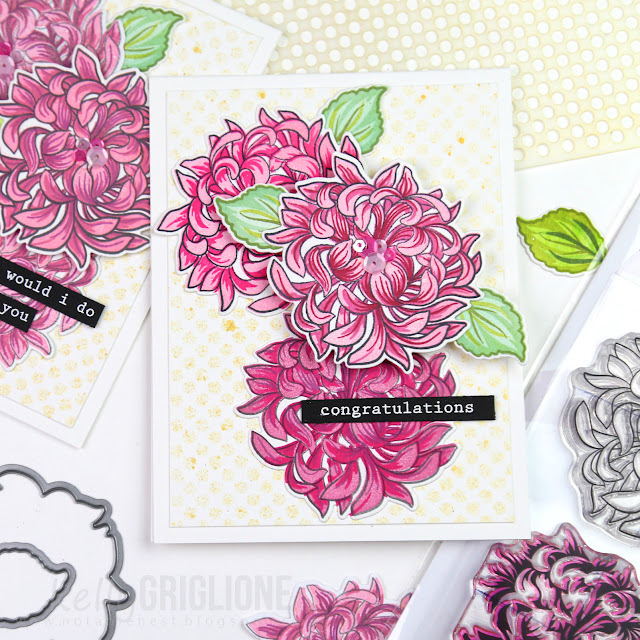 I love pinks and fuchsias and this card is right up my alley!! I love you tip on lining up your stamps, great idea!!! Thank you!! Lovely mum cards. I like the backgrounds too. I am not into coloring. It just takes too much time. I love the concept of these BAF sets. I didn't realize until now that there is a subscription plan. I'm going to have to give some serious thought to that. Your cards are lovely. Using the flower as an "O" is a cool idea. WHOA! YOUR COLORING IS AMAZING! I love the detail! Those Mums are gorgeous, Kelly. I love the idea of using one as the 'O'. Thanks for the hint about lining up the stamps too. So pretty! I liked the tips on lining up the stamps too! This is beautiful! Love the pink on here! These are lovely cards. I like the variations of color that you did on each flower. And what a great tip to help layer, especially for those without a stamp positioner. Also, I don't know why I hadn't thought of it, but putting in a flower (of any sort) for an 'O' is such a pretty look! I'll definitely have to try that. Thanks for sharing all your great ideas! Very pretty card! I love the colors. Thanks for showing how you line up the layering stamps, so many times I mess up the alignment and have to start over. Beautiful acrds. Gorgeous cards! I love how you made each flower a little different, while staying within the same color family. Very useful tip on lining up the stamps too. The best tip on layering that I have seen. Thank you. Gorgeous cards. Thanks so much for the tip on lining up the layers -- that's definitely something I struggle with! Your designs and colors are beautiful. Thanks for sharing the tip on lining up this stamp. Gorgeous cards! Fantastic tips for lining up layering stamps - genius! Thanks so.much for the great layering tip! A wonderful idea! Your cards are absolutely gorgeous & I love every one! Beautiful cards! I love the dimension on the first card! Your method of aligning the layered stamps is ingenious! I've saved it so I can try it myself. Your cards are great! I love the idea of lining up the stamps once. I can't wait to try this. I agree that the build-a-Flower sets are wonderful. 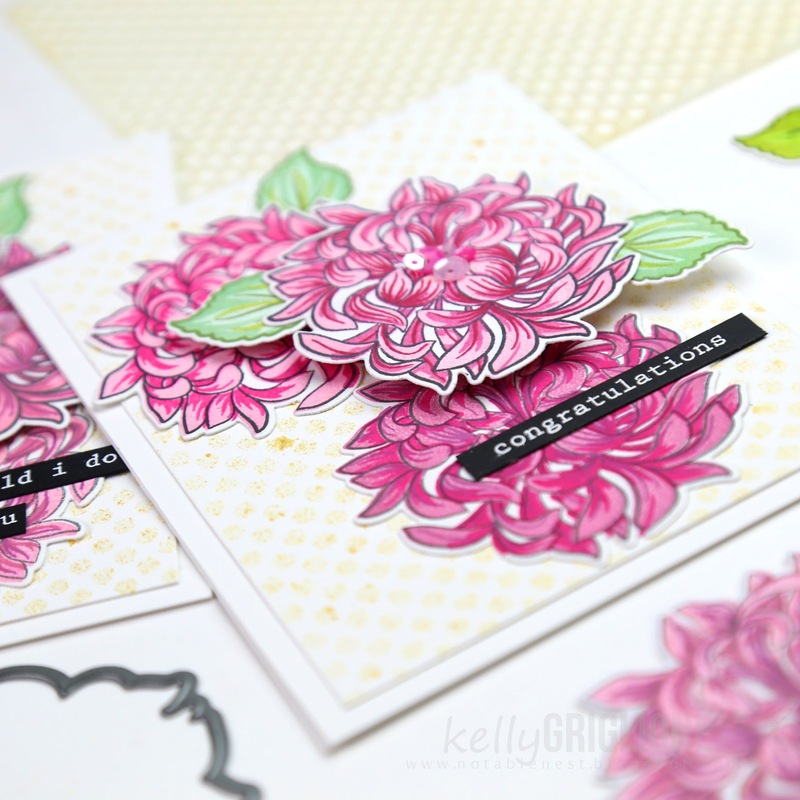 GORGEOUS cards Kelly! Thanks for the tips on lining the images up! Beautiful cards and thank you for the tip.